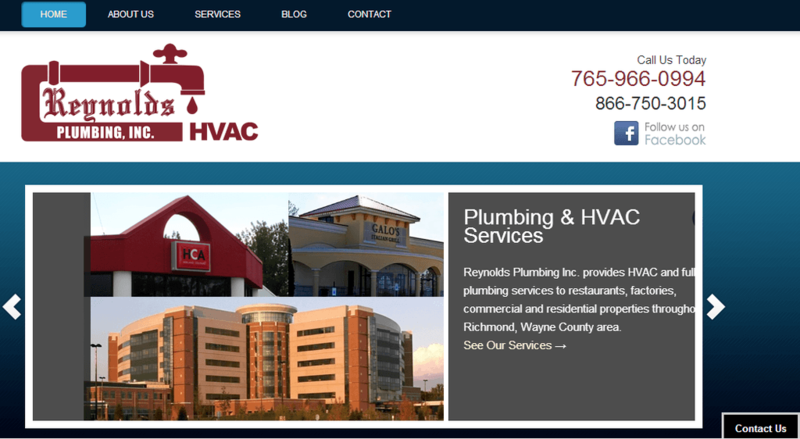 Reynolds Plumbing Gets A New Website! Reynolds Plumbing is a family-owned and operated plumbing and hvac services company based in Richmond, Indiana. On this build we focused on local search and optimization as we do for all our local, small business clients. The new design is an upgrade from an old site for Reynolds Plumbing. Their social media presence was also upgraded and optimized, and we're working on their local and global search optimization now.